Our online application is available here or you may download and print the application from our hosting tab. There are many ways you can participate and have fun with us, even if you’re not a golfer. The fee for the 4 Person Scramble is $95 per individual player or $350 per team foursome. Tournament fees includes green fees, golf cart and dinner/awards after play. plus, 1 team of 4 golfers! 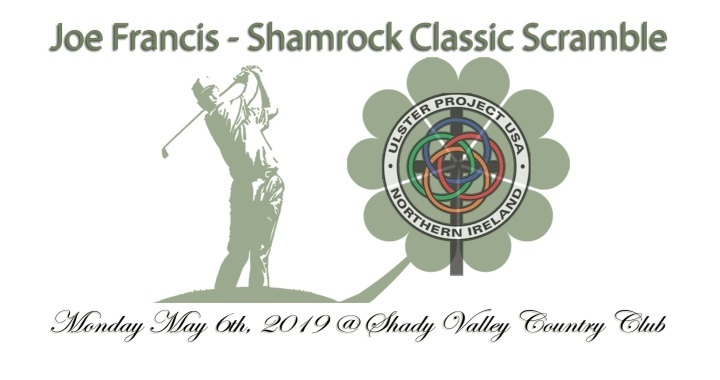 For $15.00 come and enjoy a delicious dinner and the awards ceremony with the golfers. the awards banquet and lots of things in between. It is a lot of fun to work with our great Ulster people. Download the form and submit all fees before Friday April 26th. 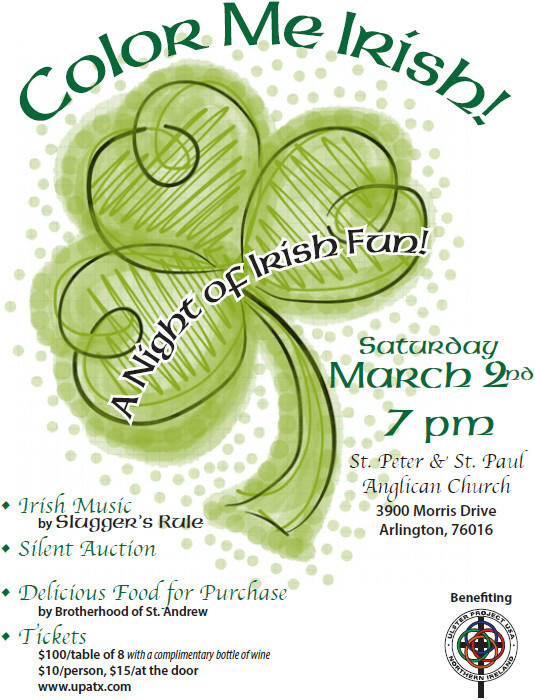 Benefiting Ulster Project-Arlington, in the Great State of Texas! Thank you for the overwhelming support on North Texas Giving Day. We reached our goals and won a random prize drawing as well! It was an amazing day for Non-Profits all across North Texas. We are excited to announce that we are now accepting applications for 2019 Host Teens. Please watch the following video for more information about the project. 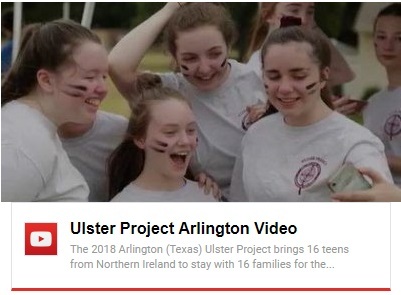 Reminder to ALL adults (18 or older) participating in the Ulster Project: a Background Check authorization form needs to be turned in each year you participate. 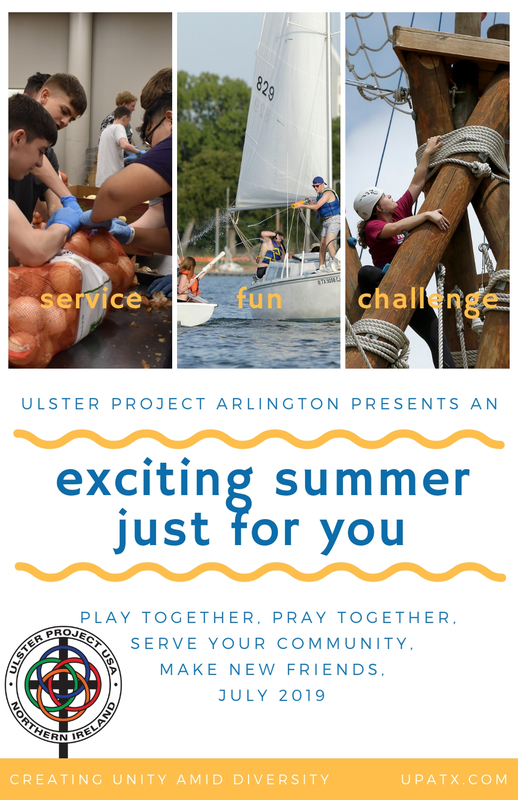 Click HERE to download or print your PDF form for a Background Check and send it in to Bill Zacharias or mail it to Ulster Project Arlington, P.O. Box 150701, Arlington, Texas, 76015. **If you have an interesting story you would like to see posted, please CONTACT US! 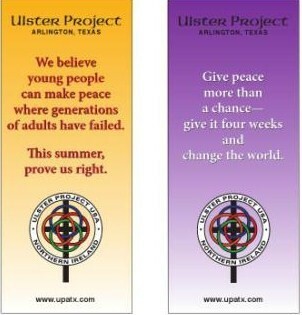 Our Ulster Teens are Outstanding!